In the fight for health, it's the good guys (like fruit) against the bad guys (processed food). And then there are the superheroes, whose nutritional content puts them in a class by themselves. Superfruits, for example, possess extraordinary powers that may provide an edge against our common archenemy: disease. Smaller than a blueberry, this tiny Amazonian fruit from the Brazilian rain forest is a little David fighting the Goliath of diseases. Acai (pronounced ah-sigh-EE) seems to be “anti” all that is bad. This dark purple berry contains twice the antioxidant power of blueberries. It offers anti-aging, anti-inflammatory, and anti-cancer properties. 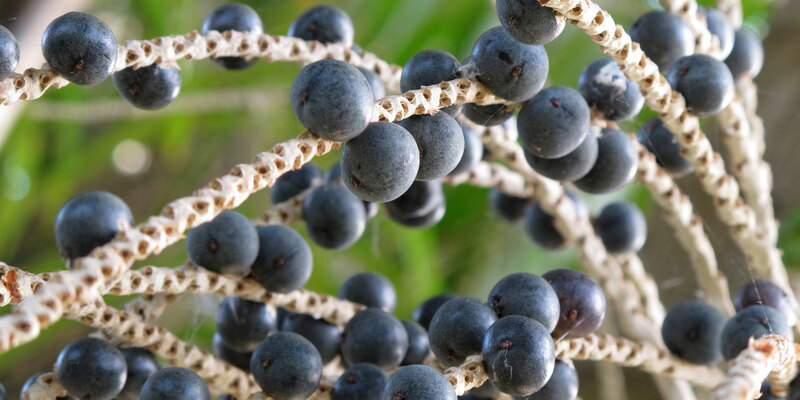 In vivo research indicates acai may reduce cholesterol and guard against age-related neurodegenerative diseases such as Parkinson’s and Alzheimer’s. Its calories come mostly from healthy fat, including anti-inflammatory omega-9 fatty acids. Packed with vitamins and minerals, acai also contains amino acids and plant sterols that support heart health and digestion. HOW TO TAKE IT: Because this fruit doesn’t travel well from its native home of Brazil, in this country it’s sold mostly in juice and powdered form. You can also buy it in super-concentrated “shots,” bottled smoothies, and as frozen pulp. This superfruit may seem new to those in the West, but it enjoys a long history as a healing medicinal plant in East Asia. Rich in nutrients and antioxidants, goji berries (Lycium barbarum or L. chinense) are used in traditional Chinese medicine to boost immunity, increase circulation, and treat high blood pressure. Recent research also indicates that these small, bright orange/red berries may help inhibit the spread of leukemia and liver cancer cells, limit prostate cancer cell growth, protect the skin from sun damage, and fight against diabetes. Goji may also enhance your sense of well-being. A recent randomized, double-blind, placebo-controlled clinical trial showed—based on participants’ subjective responses to questionnaires—that those who drank goji juice for 14 days experienced more energy, better sleep, increased focus, and greater calmness than those who took a placebo. HOW TO TAKE IT: These tangy pink berries are commonly dried and eaten raw as snacks, sprinkled over salads, or mixed in cereals, smoothies, or yogurt. Goji also comes in juice and supplement form. The berries can be cooked or brewed into a tea, or taken in a tincture. They taste like cherries crossbred with cranberries. Humanity has been aware of this fruit’s mojo for centuries. This rich and delicious source of antioxidants may reduce blood pressure, lower cholesterol, decrease hardening of the arteries, protect against prostate, lung, and colon cancers, guard against osteoporosis, and ease arthritis. Because pomegranate juice is a natural source of phytoestrogen, menopausal women who drink it may experience fewer night sweats. The omega-5 fatty acid found in pomegranate extract can also inhibit breast cancer. As if all that’s not enough, science has also shown that pomegranate extract protects skin from UVB-induced damage. The fruit contains a compound called ellagic acid, which prevents the collagen destruction and skin wrinkling that can occur with sun exposure. HOW TO TAKE IT: Eat the raw fruit in salads and other recipes. Look for pomegranate juices, syrups, and teas, as well as supplements. Rich in vitamin C, polyphenols, flavonoids, and essential fatty acids, this small orange berry offers many health benefits. Scientists from Finland found that regular consumption of sea buckthorn berries reduced levels of a protein linked to inflammation, diabetes, and heart disease. Research also indicates that sea buckthorn extract created from the fruit’s leaves may provide significant protection against liver disease. The leaf extract may also help people acclimatize better to high altitudes, protecting against high-altitude illness by ensuring that sufficient oxygen reaches the tissues of the body. And, just as every superhero needs a faithful sidekick, the combo of blueberry and sea buckthorn seems to be a winning one. Researchers found that a supplement containing extracts of both fruits helped treat children with type 1 diabetes. Another recent study also indicates that supplementing with an extract of sea buckthorn may prevent diabetic complications associated with oxidative stress. Sea buckthorn oil can also ease sun-stressed skin and eczema. HOW TO TAKE IT: Sea buckthorn may be eaten raw, but its acidity is unpleasant. It’s tastier mixed with sweeter juices or taken in supplement form. Look for sea buckthorn and other superfruits in the ingredients panel of natural personal care products too.